The Year 2’s Kingdom Building unit started off this term with learning all about the Bible. 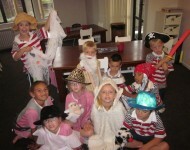 Look at our photos to see what we learnt! 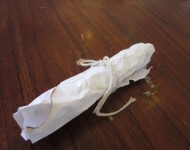 We learnt that the Bible was originally written in three languages on scrolls, parchment and even in stone! 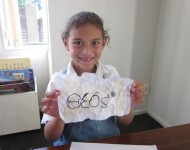 We made our own scrolls with Greek writing! We also learnt that 40 authors wrote the Bible over 1500 years! We dressed up as some of the people who wrote the Bible! We learnt what prophecy means and that it is a miracle that all the Old Testament prophecies about Jesus were fulfilled perfectly by Him. To grasp the impossibility of just some of the prophecies being fulfilled in one person, we tried many different activities that seemed impossible to do – have a look and ask us about it! We are so inspired by the Word of God and can now confidently say how we know the Bible is true!